Seeing Black people on television has always been a struggle. Our shows often get canceled after the pilot, moved into oblivion, or simply forgotten. So, why did Underground, the top-rated show on niche cable station WGN America, die off at the same time that premium cable outlet HBO announced a new show titled Confederate, that imagines a world where American slavery never ended? It all comes down to expected costs, revenue, and audience size. 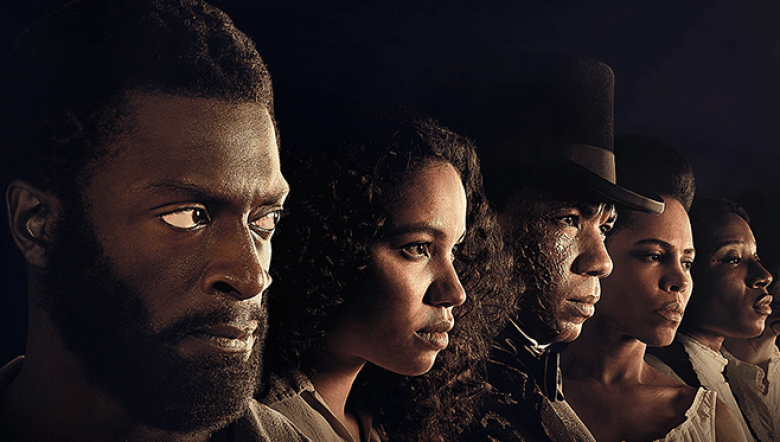 When WGN America announced they were canceling Underground, fans hoped that another station, likely a channel that services Black audiences, would take it on. But they all passed, even BET and Oprah’s OWN. Now, HBO has announced their new series Confederate, from the two (Jewish male) minds behind their mega-hit Game of Thrones. The central premise is that the South succeeded in seceding from the Union and survives to this day. Of course, slavery has survived as well. To lose one show about the breaking of slavery at a time when HBO is picking one up about its endurance it a tough pill to swallow. And for many, they can’t understand why this is even happening. So to really understand the difference between Underground and Confederate, we have to look at how entertainment executives decide which projects are viable and which are not. The most important thing to remember is that every entertainment outlet is a for-profit business. They don’t make TV shows and movies for our benefit. They make content for their bottom line. This is probably the main reason Underground hasn’t found a new home. Oprah reported that each episode of Undergound cost $5 million per episode, twice the cost of OWN’s highly successful Queen Sugar. This is likely due to its sprawling cast, the high-profile names behind the camera like John Legend, and the added costs that a period show requires (wardrobe, on-location shoots, etc.). Despite showing major interest, this was Oprah’s #1 reason for not picking up the show. Even at that high price tag, the show could have been viable if it had the viewership to support it. Television shows are funded through the money advertisers spend on commercials, sponsorships, and product placement. Think about that next time you see a product strategically placed in a TV show. They paid for you to see that product. Advertisers pay more to get their ad in front of larger audiences. This means they pay less if the audience is smaller. And Underground‘s ratings, while not horrible, did not warrant the show’s cost. Like I said, it’s all about profit at the end of the day. My guess is that Underground‘s respectable but limited audience was composed of mostly minority viewers. But Confederate, HBO’s forthcoming modern-day slavery fan-fiction series, likely won’t face those same limitations. Besides being housed at HBO, a network that thrives off of paid subscriptions instead of ad revenue (and as a result can take more risks), Confederate is aimed at larger (read: white) audiences. And in the end, what really matters to these outlets is how many people tune in to see the show. Why was Underground‘s audience limited? To start, it landed on a mostly unknown cable outlet that many didn’t even have access to. And networks had no reason to believe that its audience would grow if they took it on after it was canceled. But more importantly, Underground was a controversial show that alienated white people. It’s not that diversity doesn’t sell. Girls Trip just killed at the box office even though it didn’t open on as many screens as it should have. HBO is treating Insecure like it’s crown jewel. Ads for that show are literally everywhere. And people (even the white ones) love them some Black-ish. That show just scored major Emmy nominations. No, the only difference that matters here is content. Content putting Black people in a position of power alienates and scares white audiences. Putting Harriet Tubman on-screen is seen as a “risk”. But an alternate reality where the Confederates survived and slavery thrived? That’s an intriguing idea. Execs see that as a great concept to explore because it looks at an alternate version of the white paradigm. White people will tune in to see that before they are riveted by Blacks fighting for freedom. Especially by the team that brought us Game of Thrones, a show where most people of color are slaves and eunuchs. Clearly, the main concern here is money. If that means creating content that alienates Black audiences, HBO execs seem willing to take that risk. The reality of the entertainment business is that any show the Game of Thrones creators put together will appear to be a better bet than a show that puts Black people in a position of power. And even though Underground was a critical success, its ratings weren’t anywhere near Game of Thrones numbers. The entertainment business is still the Wild Wild West for minority creatives. Issa Rae played the long game, finding success after years of cultivating a following. Tyler Perry forged a career off of dressing in drag and stereotyping Black women. Lee Daniels has largely peddled in minority-starring content with questionable politics. For each of these successes, there are an unknown number of other creators whose work never found a diverse enough audience to be a success. The majority of entertainment is still tailored to white audiences. And the same executives that bankroll those shows (success or not) are quick to deem diverse entertainment as a risk. That’s why we stay mad and confused. It’s why @ReignOfApril @FilmFatale_NYC @ShanelleLittle @iamlaurenp & our friend @JamieBroadnax have been working to mobilize social media against Confederate with the hashtag #NoConfederate. But my fear is that none of this matters. I’m sure that HBO thought long and hard about the potential pitfalls of putting together a show like this. They anticipated that there would be blowback. They thought so far ahead that they were sure to hire 2 Black people to be part of the production team. HBO clearly believes in this idea and probably has every intention of putting it on air. And I’m not sure there is anything that anyone can do to change that. That’s why the shows we love fall off air and the creators we love struggle to get major attention. The industry is not built for us. Our energy is best spent amplifying the work of people of color.